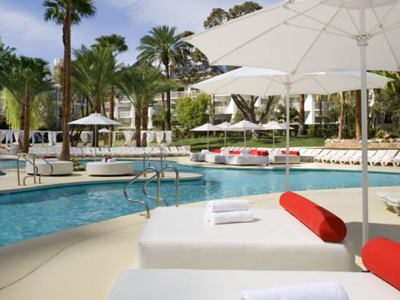 Sunbathing by the pool at the Tropicana is a Las Vegas dream come true. The Tropicana also offers a luxurious spa without the attitude or high price tag. Reserve your room online. 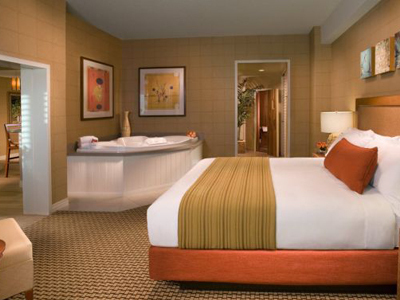 Save 15% off at Tropicana Las Vegas with this offer. 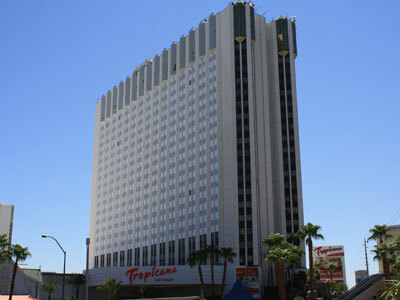 The newly remodeled Tropicana is located on the southern end of the Las Vegas strip. The hotel has a tasteful tropical theme with light bright colors, tropical plants, and plantation shutters on the windows. 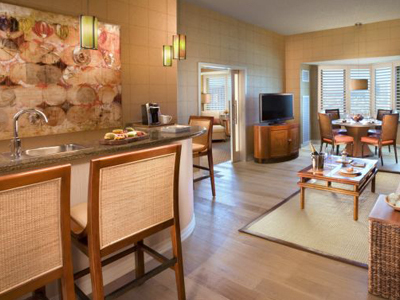 The accommodations are modern and updated and have a chic cosmopolitan beach feel. The hotel’s dining features modern cuisine, they have plenty of nightlife, and the entertainment is first rate. The newly remodeled Tropicana is located on the southern end of the Las Vegas strip. The hotel has a tasteful tropical theme with light bright colors, tropical plants, and plantation shutters on the windows. 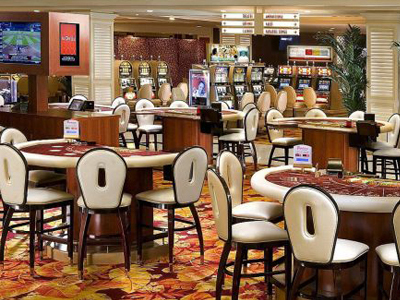 The casino has been remodeled as well, and has white marble, bright colors and offers over 800 of the latest slot machines, a wide variety of table games, a special high limit area and a dedicated poker room. The accommodations are modern and updated and have a chic cosmopolitan beach feel. There are plantation shutters on the windows, plush bedding, comfortable seating, large plasma TVs and iPod docking stations. Spa/Salon: The spa is named Glow, a Mandara Spa and is a lovely retreat to get away from it all and relax. As the name implies, they specialize in bringing out your inner glow. They offer a variety of massages, body treatments and facials. They have two areas for couples, the Couples Wet Villa and Couples Wet Suite. There is a full service salon, fitness center and steam room located in the spa. Pool: The beautiful pools are located in a 4 acre, impeccably manicured, tropical garden with palm trees, waterfalls, and Jacuzzis. The uniquely shaped pool is surrounded by plush chaise lounges that will have you relaxed in no time. Legends in Concert features the top tribute artists in the world paying homage to the most iconic artists and has been a Las Vegas staple for over 25 years. If you have ever wanted to see legendary musicians the likes of the Beatles or Elvis but missed your chance, Legends in Concert is as close to the real thing as you can get. This family-friendly comedy magic show by Murray and his cast will enthrall all ages. The Master Impressionist return to Las Vegas in his own show at the Laugh Factory in the Tropicana. Book tickets now for this limited run. Our stay here wasn’t the best. We had high expectations perhaps, but they were not met very well. The room was nice, in fact, the best part. The staff members were not very friendly. We probably will not stay here again. The Tropicana is convenient and affordable! We got a room facing the strip, and loved every minute of it. The hotel staff was very nice and the rooms were comfortable and clean, the bathrooms are big. I didn’t particularly care for the scent in the casino. 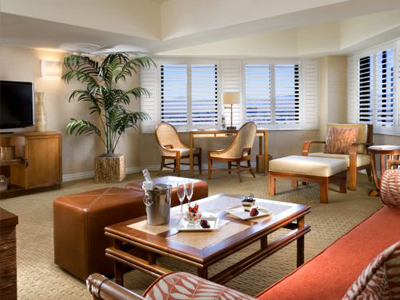 Stayed in a club tower suite for 2 weeks in July 2011, It was right after the remodel. Everything was perfect…pool was slightly colder than most, but in 47 degree Celsius heat it was refreshing. Then I went back for a week in June 2013, and stayed in the club tower in a deluxe room and was impressed once again! I recommend this hotel for anyone. Unable to check in early so waited for ever. Had some staff to be rude at the front clerk. Over all it was not worth what I paid to stay here . Will not stay here ever again. Out of the crazy north strip. Easily accessible to rest of strip. Great restaurants, great dealers, great period! I really liked the renovations made to the decor, but I did not like that the hotel was very noisy. I also had no access to a fridge or coffee machine. The view from my room was not the best. Now I was very comfortable in the bed and the bathroom was spacious. The Tropicana Pool was very relaxing! My stay was good but I imagined it being much better! The service was great and the pool was lovely. The food there was great and loved the rooms. The hotel has been renovated which was nice but it pales in comparison to the likes of Mandalay Bay or the Luxor. There is simply no wow factor. This was our 22nd year anniversary trip which we thought was pretty special but the fellow who checked us in spent more time telling us about him then he cared to know about us. It was disappointing to be on the 4th floor overlooking a roof deck with lights shining up into our room with the back of the airport as a view. Won’t ever stay here again. So disappointing, they put on us in the wrong room…we had paid for a deluxe suite, non-smoking room, and they put us in a regular room in the club tower (low end room) where the halls smelled very strongly of urine, then moved us to another basic room (smoking)…rude staff, long wait to check it…all in all, a horrible experience…will never stay at the tropicana again!! !